I attended my first church small group at the age of thirteen. It was run by my youth group leader. Those evenings bring back some rather special memories sitting around the living room coffee table with every unhealthy snack and soft drink imaginable to mankind. It was fun, it was raw, it was safe and as a young girl, still working out who I was in God, these regular intimate gatherings with my peers was a pivotal period of my faith journey. Now looking back years later as an adult, I realized the one thing that made me come back every week wasn’t that my small group leader had a university degree in theology or that they knew the Bible back to front. No, it was because she genuinely cared for everyone in that group, went out of her way to keep in touch with us, and build community. If you’ve led a small group for longer than a minute, you know it’s difficult to build this type of community. You’re pulled in a thousand directions, and it can be challenging to keep track of everyone. By having a church management software where you can track which individuals show up provides church leaders with a good idea of your church health. An effective tool to record attendance. Track engagement from year to year. Positive growth reveals you’re gaining traction. Measure group health commitment over time. After the group meets, the group leader will automatically receive an attendance reminder. They’ll click the link in the reminder that will open up the attendance report on any device. It’s essential to put a group reporting process in place that will help you monitor the personal growth and health of your small groups. There is nothing like a word of encouragement when someone feels helpless or discouraged. But this doesn’t have to stop at the small group meet up. Group members can communicate amongst themselves for prayer & support. Share important information through notifications (Email/SMS). Provides group leaders with an area to announce information to all group members. 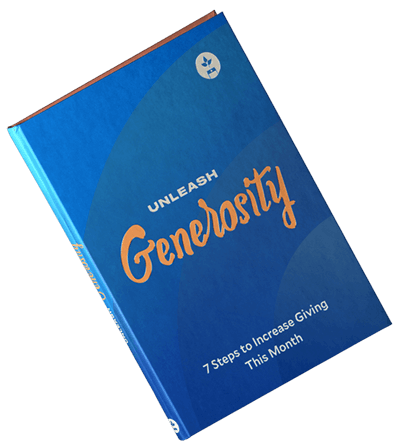 Identify and develop potential leaders from your existing groups by determining who is committed, always eager to serve, or adds value to their community as a consistent giver. Leveraging your church management software to track all these things can help you, as a church leader, to identify who has the capacity to become a great leader and the potential to take your small groups from strength to strength. People who are committed to their group, who consistently give, and serve on the ministry team have great leadership potential. A ChMS will help you design searches that will highlight these individuals for you and personally invite them to engage at a whole other level. Small group ministry is the greatest opportunity you have as a church to see real discipleship take place. Church Management Software can help you to build community by giving you the tools you need to get to know people and make sure they’re connected. Let us consider how we may spur one another on toward love and good deeds, not giving up meeting together, as some are in the habit of doing, but encouraging one another. Let the Tithe.ly ChMS be a tool to help you to ensure people within your small groups are active and growing in their relationships with others and Christ. When your leaders don’t have to think too hard about what needs to be done administratively, they can focus on looking after the people.